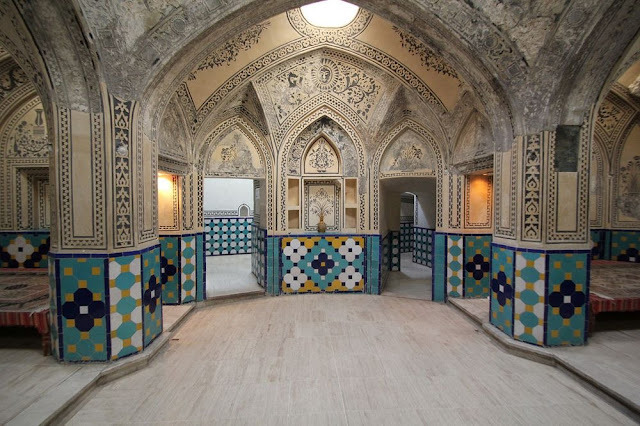 The Sultan Amir Ahmad Bathhouse in Kashan, Iran, is a 16th century public bathhouse built during the time of the Safavid empire, which ruled Iran, along with parts of Turkey and Georgia, from the 16th to 18th centuries. Characterized by vaulted ceilings, exquisite mosaics and paintings, this gorgeous structure is one of the most beautiful and best preserved historic bathhouse in Iran today. 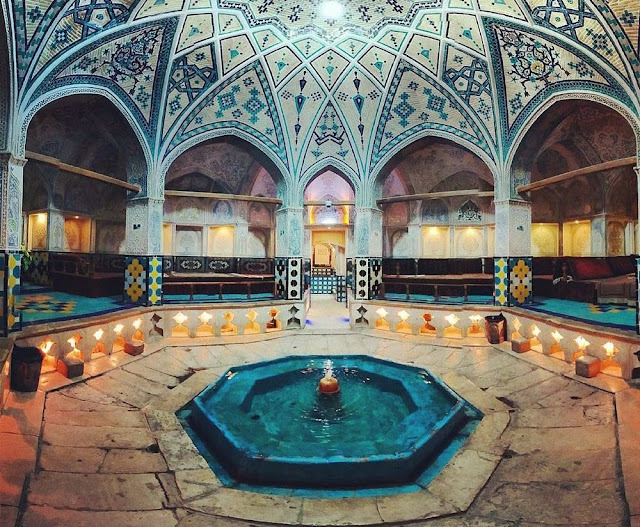 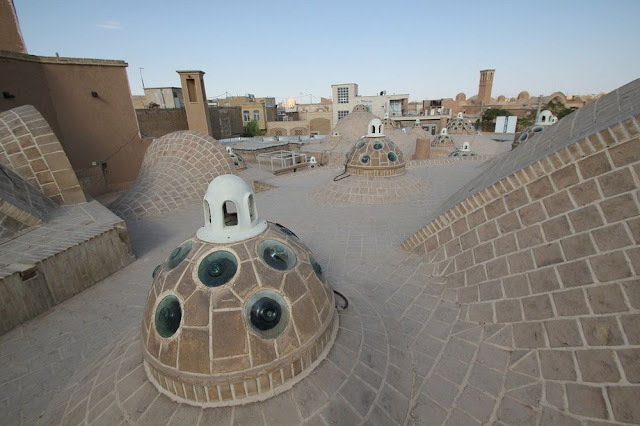 Declared a national heritage site by Iran’s Cultural Heritage Department in 1956, the bathhouse is named after Imamzadeh Sultan Amir Ahmad, whose mausoleum is nearby, although little is known about this holy man. The bathhouse has the shape of a large octagonal hall with an octagonal pool in the middle, and surrounded by eight pillars separating its outer sitting area. This is not the main bathing area though, rather the dressing hall or Sarbineh, where bathers lounged and socialized. 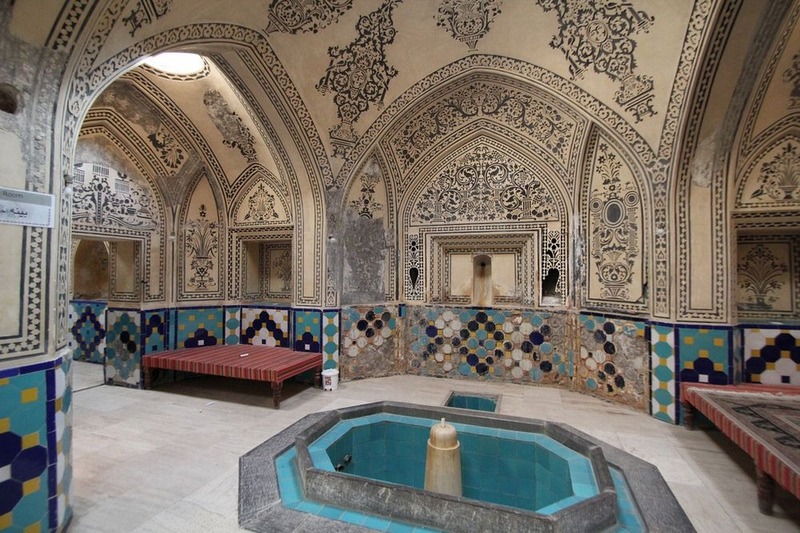 Since ancient times, bathhouses played an important role in the social lives of Iranians and they still do today. 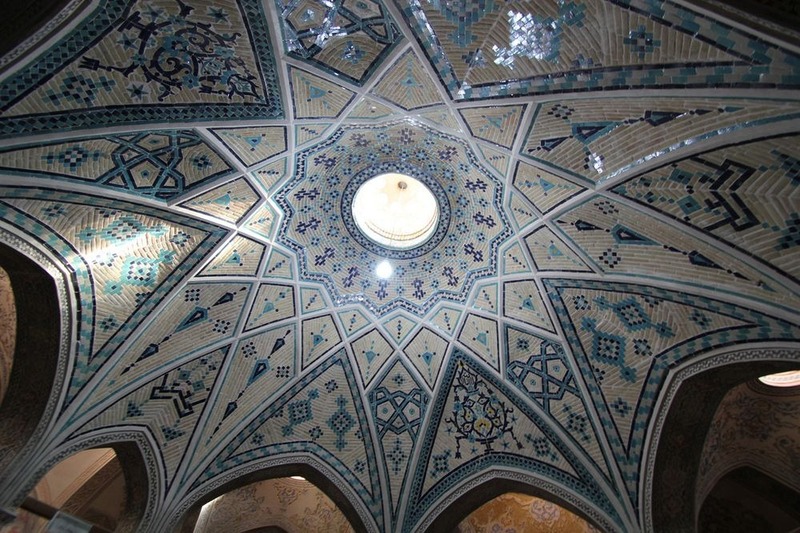 Bathhouses are intended not only to cleanse oneself and relax but to gather, meet, gossip and even pray.